It’s not just osteoporosis you have to worry about if you don’t get enough calcium. Check out these calcium deficiency symptoms along with treatment tips. Experiencing the sort of calcium deficiency symptoms listed in our lead story? 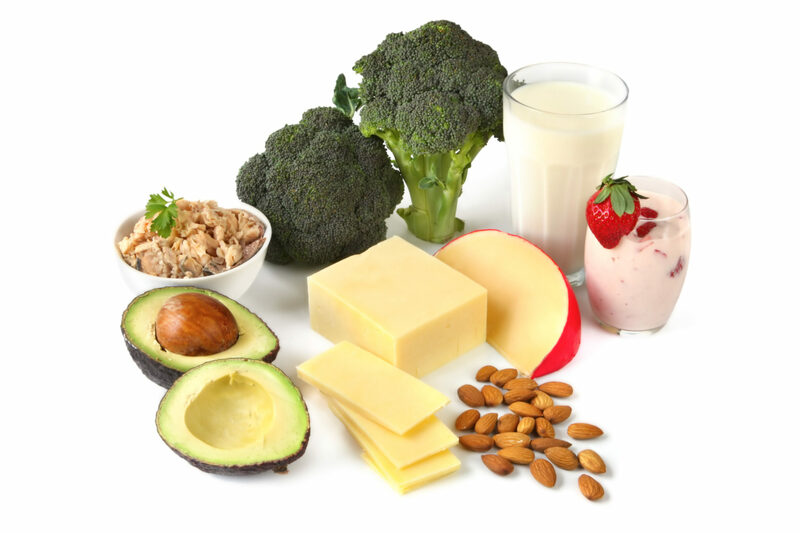 Remember that you can access good sources of calcium via broccoli, dairy, and avocado. Calcium, the most abundant mineral in the human body, is best known for its important role in bone health and protection from osteoporosis. However, in addition to its key role in imparting strength to bones and teeth, calcium plays a critical role as a messenger in cell-signaling pathways throughout the body and is necessary for normal cell function, transmission of nerve signals, secretion of hormones, blood coagulation, muscle contraction, and muscle relaxation. Calcium deficiency symptoms may therefore involve any of these functions and manifest in a myriad of ways. Calcium deficiency symptoms can vary widely—ranging from nonexistent or mild to severe and life-threatening. Chronic untreated calcium deficiency can cause many severe consequences, including rickets, osteopenia, and osteoporosis. However, even though calcium deficiency may not be associated with any symptoms, especially early on, metabolic alterations or potential dysfunctions have already occurred. If your doctor suspects that you have a calcium deficiency, he or she may recommend blood testing. Check our our article, “A Calcium Deficiency Test Can be a Heads Up for Risk Factors” for details. Just how much calcium from diet and supplements is needed, and in what form, to prevent calcium deficiency symptoms? How much is required to achieve optimal health? These questions are currently the subject of much controversy and debate among researchers, doctors, and nutritionally savvy individuals alike. The Food and Nutrition Board of the Institute of Medicine concluded that there are insufficient data from which to determine the RDA for calcium. Instead, they established Adequate Intakes (AIs) for calcium, which are the amounts thought to be sufficient to maintain bone health in healthy people. The AI for adults up to age 50 is 1,000 mg of calcium per day from food and supplements combined. For adults 51 and older, it’s 1,200 mg. As mentioned above, most American adults fail to meet these requirements, even when they take supplements, which can result in bone deficiency symptoms. 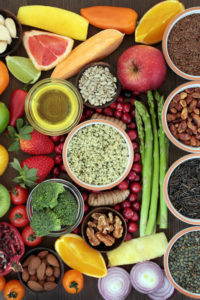 Instead, opt for foods high in calcium; examples: salmon and sardines canned with bones, kale, collards, broccoli, mustard greens, turnip greens, bok choy, and sesame seeds. For calcium supplements, choose calcium citrate or calcium citrate malate, and take it in at least two divided doses with meals for the best absorption. Keep in mind that it is just as important to avoid getting too much calcium from supplements as it is to get enough. Excessive calcium from supplements may increase the risk of cardiovascular disease and kidney stones, so don’t overdo it. Aim for 1,000 to 1,200 mg from food and supplements combined. Are your calcium levels low? How do you ensure adequate calcium intake? Share your ideas with your fellow readers in the Comments section below. Am J Clin Nutr. 2007 May;85(5):1361-6. Linus Pauling Institute. Micronutrient Info Center. Calcium. Br J Surg. 2014 Nov;101(12):1566-75. BMC Med. 2013; 11: 86.
anxiety, backache, bone, bone deficiency symptoms, bone health, calcium, calcium deficiency, calcium deficiency symptoms, calcium deficiency test, calcium deficiency treatment, calcium from food, calcium symptoms, cardiovascular, cardiovascular disease, cataracts, chemotherapy, chest pains, chronic kidney disease, cramps, dairy, depression, depression anxiety, diet, dry skin, food, food and nutrition, health, heart failure, high sodium, institute of medicine, kale, kidney stones, lack of calcium, low blood calcium, low calcium, low calcium symptoms, magnesium, magnesium deficiency, muscle, muscle cramps, neck thyroid, nutrition, osteopenia, osteopenia and osteoporosis, osteoporosis, osteoporosis symptoms, pains, personality, posture, psoriasis, rickets, seizure, signs of calcium deficiency, skin, strength, supplements, symptoms of low calcium, thyroid, vitamin, vitamin d, vitamin d deficiency, wheezing. I eat Greek yogurt & drink Kefir daily. what is/are the test(s) ? to know calcium deficiency ? Get treatment for kidney stone asap! Try mild forms of exercise, like gentle bouncing on trampoline. Seek help. Low ca is not to fool around with. Dr. Can order a blood test so you know your level, and decide on treatment. Search about kidney stones and avoid foods that create that problem. Eat well and good luck. These are all symptoms of hypercalcemia, excess calcium was pointed out in major degenerative diseases such as Alzheimer’s, Parkinson’s, Cancer, Epilepsy and so on. Is it OK to take calcium supplement and eat a little source of calcium? I am a picky eater and do not drink/eat dairy products. Getting enough Vitamin K is super important and the lack of which is the reason why arteries get calcified. Vitamin K, in addition to Vitamin D and magnesium, all work together. I heard sounds on my gots while I’m walking, and I’m become tired within short time. Foot become hot to the toes, what is the problem may I have, please help me. I have been concentrating on food sources and keep track daily, yogurt with 2Tbls chia seeds, unsweetened almond milk with Golden Milk (a turmeric powder drink), bone broth, kefir not to mention the green veggies. I count till I reach near 1200 mg. I do supplement with Calm magnesium powder, make sure I get plenty of C in my diet and revved up the potassium with daily avocado, squash, spinach etc. At 63, you find every calorie needs to count and it is a commitment but well worth it. My body seems pleased! You must be cautious about self diagnosis. If your signs and symptoms seem to line up with any deficiency signals, get a test by your medical professional. There are many signs and symtoms that were listed that could apply to many other possible conditions. If in doubt, see your doctor and get tested. It is possible to further hinder your condition if you treat it improperly. I have avoided calcium supplements for years due to natural docs advising against it. I thought I had adequate dietary intake. I have taken optimal doses of magnesium, vitamin k2, Vitamin C, boron, Vitamin A, Vitamin D, copper and zinc, all if which help but still suffered from leg cramp s when overworked. The last two years I have been on Prilosec for a worsening ulcer, and the arthritis got unbearable. ( Prilosec destroys mitichondria). I also have had chronic insomnia. Looked that up on Wallach wisdon encyclopedia. Saw from his chart most supplements need to be taken in far higher doses than we thought. Took 6 tablets instead of bottle recommended 2. Within 6 hours my arthritis eased up, from 10/10 pain level to 2/10. Since I am on all the calcium support nutrient s I am much less afraid of calcium overdose. Now I sleep better too. My fast pukse has normalized, my leg cramps are gone. There is only one spot left in the middle of my back with a twinge of pain. Why wouldn’t high blood pressure be on here, if not the first problem? I am vit D deficient. Also calcium. Symptoms on this list are right. I would get the odd palpitation in my throat – NOT my heart/chest – THROAT – weirdest thing ever. Lower leg muscles when stretching after waking up would lock-up (tetany) and that’s very painful. Tingling hands, fingers, feet – shooting electric pains through forearm. My hands and feet became numb. I’m not even 40!! Chest pains are strong – feels like a heart attack – shredding pain on in breath. Vitamin D is sooo important!! I eat plenty of calcium but didn’t know i was so deficient in vitamin D.
This is seriously under-appreciated how a common vitamin deficiency can ruin your life – and it’s possible it’s happening to someone you know and love too. My hands and feet got “pins and needle” feeling about 2 years ago. I have Lymes Disease and I just thought it was the Disease progressing. Also hard to sleep, joint and muscle pain, my elbows and hands would be paralyzed when I awoke, stiff hands. feet, hips. I stopped drinking milk about 10 years ago because Dairy Farmers up here are destroying streams and groundwater like you can’t believe. Well 1 day I had 2 bowls of cereal with milk and 2 additional glasses of milk and it was like WOW, my tingling in hands and inflammation and stiffness improved overnight, my aching bones and muscles went away. Started a Organic Plant Calcium Supp with DE, K2 and magnesium. I can’t believe how much better I feel, I can actually spread my toes a little(they were swelled up and stiff)…Now, some parts of my body feel a little weird…wonder if its my body replenishing itself???? I have taken a calcium supplement for at least 25 years, when I was I was diagnosed with osteoporosis about 10 years ago I couldn’t believe it. My body stopped absorbing calcium. Treatments first provided had no impact on calcium absorption and took about a year to diagnose the real problem. Once the real problem was realized and medication to help my body absorb calcium was given the medication to strengthen my bones improved dramatically. After the first year, my bone density increased by 17%. When someone tells me they have osteoporosis, I tell them to have the doctors check for calcium absorption. I am 48 and have osteoporosis. I took a 24 hour urine test which showed hypercalcemia meaning my kidneys are not processing and absorbing the calcium and I am excreting it in my urine. No one knows why this happens! . I have so many symptoms that I now can point at low calcium. Symptoms include muscle spasms and twitches, burning in leg and arm, heart palpitations, depression, internal “shaking” or chills feeling. They put me on Hydrochlorothiazide, 12.5 mg. It is not really helped the symptoms and I am worried and I will continue to lose calcium. Make sure to get your urine checked. Correction on previous post it’s hyperuricemia not hypercalcemia. My blood calcium level was fine. It was only in the urine. Sorry for the error. And also how do its treatment like any soap. Cream whatever. Show. Too much sodium can suppress or lower calcium. I had heart palpitations, extreme fatigue, short of breath, my body felt tense, brain foggy, legs and muscles seemed sore. I’m startimg to turn the corner but I believe that I was probably already low. I never drink milk or dairy so this is my fault but .. wow. Also, to the girl above, I had the same exact thing happen with low vitamin D. Major throat pain. Like someone was chokin me. 1 week on liquid D and went away. Please what can cause mild pain in bones? I’m just returned from a 3 day stint in the hospital..on Sunday I had several seizures and although I was diagnosed with epilepsy a few years ago I was diagnosed with hypoglycemia and admitted with a calcium level of 6.1 (normal is 8.5-10.1). I take several med school for epilepsy and atenolol for high blood pressure. I guess what I’m asking is what do I need to do now in order to increase my calcium intake without interference with my other medications? Help! This is a serious condition. I have hypocalcemia due to my parathyroid being removed accidently during thyroid surgery. When mine hit it’s lowest level (6, normal should be around 10) I experienced tingling and numbness in my hands, feet and face. Legs were weak and actually jerking like I was having a seizure. Could not stand on my own and was having trouble focusing and processing thoughts properly. Thought I was having a seizure or stroke. Had to go to the ER and was admitted overnight for IV calcium therapy. Now I take Rocaltrol daily. I still have episodes with tingling when I have flu or infections. Debbie, you need to sue that doctor! You’ll be taking calcium for the rest of your life. Can’t do without your four parathyroid glands. They regulate your calcium. Critical element in your body’s daily function. I was diagnosed with PTH tumors 3 years ago when i was 30 years old. Upon removal of my PTHs, I’ve been hypo-calcemic. I have tried injections, medication but it’s either not enough calcium, as my face fingers and legs are numb/tingling all the time amongst many of the other symptoms or it’s too much calcium thus giving me kidney stones (I’ve had over 40 stones and 4 lithrotripsies.) I can’t seem to find a doctor that has enough knowledge and experience to find what would work for me. Food is simply not enough to absorb the dosage needed. A book named “Death by Calcium” means that we can get too much calcium and the reason for brittle bones and random boidily calcifications with plenty of calcium is lack of co-factors to rebuild collageni a strong bone matrix. Too little Vitamin C means that bone making stalls, probably because Vitamin C is the key building material for all collagen, both for soft tissue and bones. The result is that the excess calcium is “stored”, like awaiting the missing components. The follow-on result is calcifications of storage places, soft tissue and blood vessels. The 2nd missing component is magnesium, needed to avoid brittle bones. Note that during exposure to heat (no air condition) and physical work in heat makes us lose both Iron and Calcium. To save Calcium is hence an evolutionary survival mechanism. But with changed circumstances it kills us earlier instead today. Both excess calcium and iron are linked to earlier cancer. I have drafted up a post for over 4 hours with advice that did not go through….possibly because of the length….but chances are it is the many weblinks….So I will attempt to spend hours to edit out those weblinks and give descriptions and or title for you guys to find the sources. I do have tooth pain these days and I don’t really take sugary things can low intake of calcium cause that..